So squirrels are stealing schach from your Succah, cold rain is soaking everything, and you’re looking for some radio to extend the season of simkhe, warm sun and golden leaves? Happily, radio613 is back on air, with brand new programming for 5775!!! This episode’s feature interview is with Emily and Julia, two members of the organizing committee for the upcoming conference, Doing Jewish Off the Grid: Politics, Identity, and Spirituality, which is set to take place in Toronto, October 25-26. 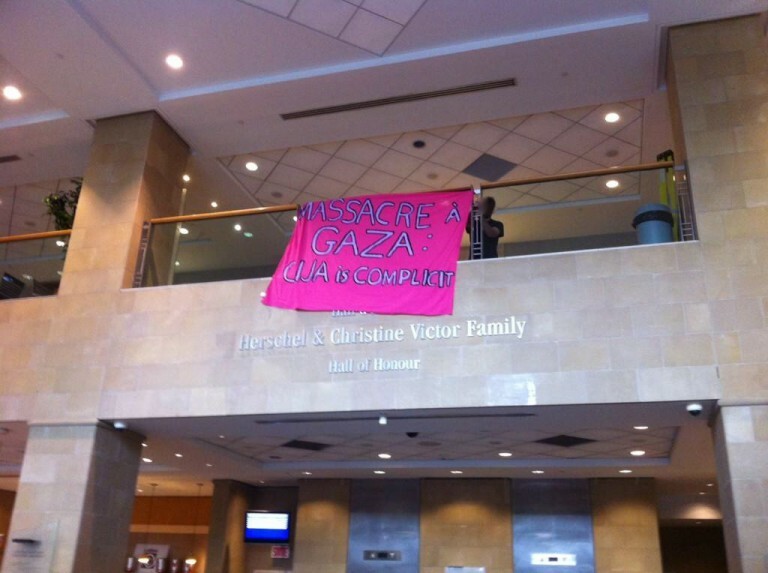 The conference aims to “create a space that recognizes the diversity of Jewish perspectives, to movement build with progressive Jewish community, and to generate alternative discussion around issues that do not currently hold enough space in the mainstream.” The show begins with coverage from a late summer action at the Montreal Federation CJA building where a group of Jews gathered to denounce the Israeli government’s assault on Gaza and the organized Jewish community’s complicity in it. Special thanks to Courtney Kirkby of CKUT Radio in Montreal for offering her reporting on the action. With music from Shuly Rand, the star of our favourite Succos movie “Ushpizin”. 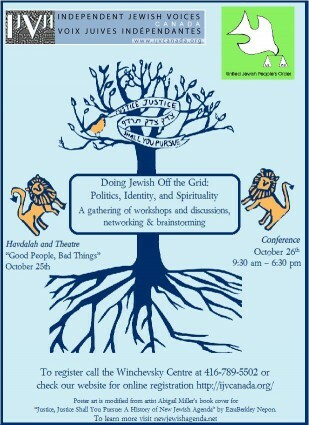 For more information and to register for the Doing Jewish Off the Grid conference, click here. Read the press release from the Jews who took action at the Federation CJA building in August here. As the massacre of the people of Gaza continues, radio613 speaks with two Jewish activists resisting the Israeli state and its policies: Judy Rebick is the CAW-Sam Gindin Chair in Social Justice and Democracy at Ryerson University in Toronto and founder of rabble.ca and Aaron Lakoff, a member of Tadamon! in Montreal. Rebick was one of 8 Jewish women who occupied the Israeli consulate in Toronto on January 7 and Lakoff was involved in organizing an action that shut down the Israeli consulate in Montreal on January 8. Click here to listen (right-click to dowload).